A Doctor of Chiropractic, a licensed health professional with a minimum 8 years of rigorous university study, specializes in the treatment of neuromusculoskeletal conditions. Dr. Hammer received his Bachelor of Science degree in Biology/Zoology and Chemistry from the University of Wisconsin, Eau Claire and his Chiropractic Doctorate Degree from Northwestern Health Science University in Bloomington, Minnesota. He completed his residency with the Pain Clinic of Minnesota and a radiology internship with the University of Minnesota/NWCC. He holds state licenses to practice in Wisconsin and Minnesota. Dr. Hammer has additional postdoctorate education and board certifications in rehabilitation (DACRB) and orthopedics (FACO) and a fellow of the Academy of Chiropractic Orthopedics. 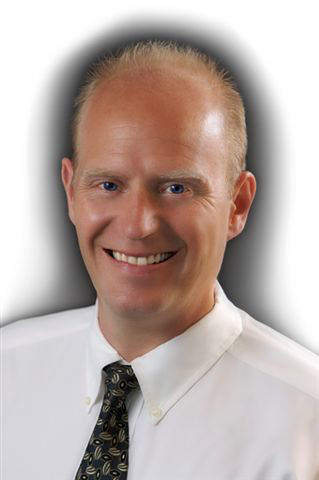 Dr. Hammer is a member of the Wisconsin Chiropractic Association, American College of Chiropractic Orthopedists (ACCO), the American Chiropractic Rehabilitation Board (ACRB) and the American Chiropractic Association (ACA). Dr. Hammer was published in the Journal of Chiropractic Medicine in the fall of 2004. Dr. Hammer is a member of the Wisconsin Chiropractic Association, American College of Chiropractic Orthopedists (ACCO), Foundation for Chiropractic Education and Research (FCER) and the American Chiropractic Rehabilitation Board (ACRB). Milton Area Chamber of Commerce, Milton FFA Alumni, St. Mary's Church. Dr. Hammer enjoys golfing, biking and spending time with his wife, Lesley and sons, Spencer, Greyson and Elias. Chiropractic orthopedics is considered a branch of orthopedics, the purpose of which are, by non-cutting techniques, to prevent and correct deformities and to preserve and to improve the functions of bones, muscles, joints and their nerve supply, when such function is threatened or impaired by defects, lesions or diseases. Chiropractic is one of many occupations which are regulated by state licensing agencies. The requirements for chiropractic licensure vary from state to state (and country to country). Some states require a Bachelor's degree as a prerequisite for licensure. To assist the various regulatory agencies in assessing candidates for licensure, the National Board administers examinations to individuals currently in the chiropractic educational system or who have completed a chiropractic educational program. The National Board also offers an examination designed for previously licensed individuals. A candidate for chiropractic licensure may request that transcripts of scores from National Board examinations be forwarded to licensing agencies which assess eligibility for licensure.